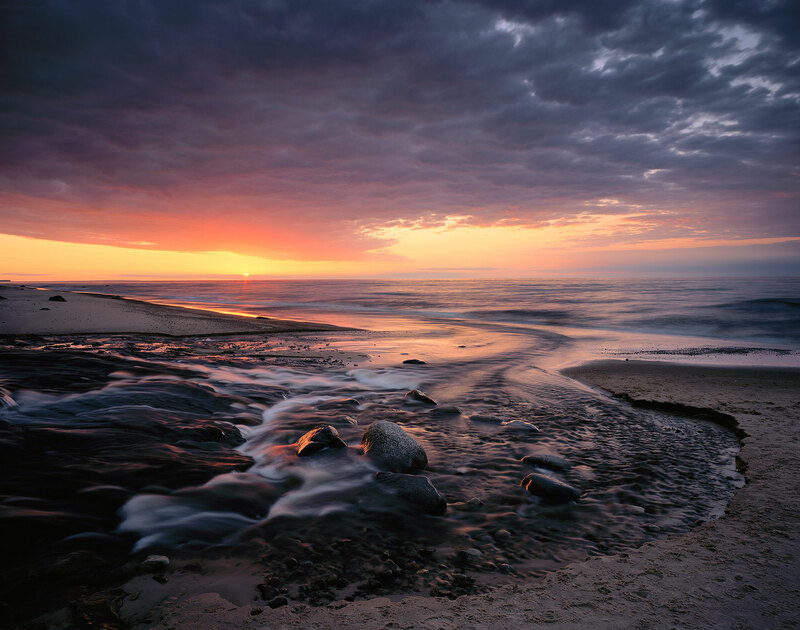 The Hurricane River flows into Lake Superior as the sun sinks on the horizon. The river seems to carry all my worries away and over the horizon- away from the present and into the past. Due to the long shutter speed required by the large format camera, I only had time to make one exposure while the sun was on the horizon. I rushed to calculate the exposure and development time manually, and kept my fingers crossed until I could develop the film a week later, since shooting into the sun leaves no latitude for error.